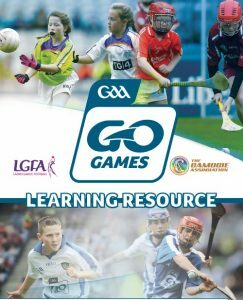 Go Games are small sided/modified versions of Ladies Gaelic Football which have been devised for children up to and including U12. Go Games can be played by a club, school and/or community team. All girls get to play during the course of the game and the score is not formally recorded. Go Games are structured to cater for the needs and abilities of all participants. Why Go Games/ What are the Benefits? Go Games can be organised by County board, clubs and schools. As per LGFA rule 293. All games under 11 shall be organised through the Go Games model. Central philosophy of Go Games is – to promote full participation and fair play while catering for the developmental needs of the participants. Use modified pitch, playing rules and equipment that are appropriate to the age group and ability level of those participating. These playing rules are not set in stone – there is no reason why the rules cannot be modified to meet the varying needs and abilities that coaches meet ‘on the ground’. Counties should adopt a standardised approach to Go Games based on these recommended rules to ensure uniformity among clubs. Counties should then provide clubs with the required Go Games rule sheet for their age group(s). 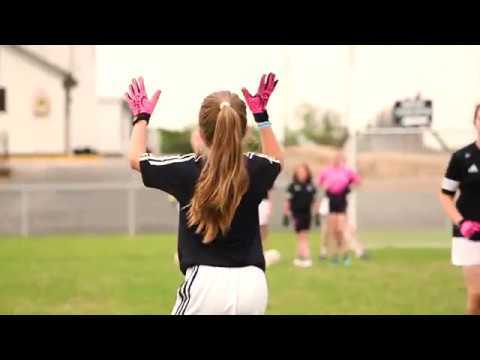 Spring Go Games March-May (Cluster blitzes/Geographical) with all county blitz June. Autumn Go Games: July-September and all county monster blitz October. U12 Small sided games: U12 games can be organised in a blitz or league format. There is no championship or finals to be played in Under 12 grade. Suggested to provide Go Games referee course(s) and clubs could for example nominate min 2 referees to officiate Go Games. From this pool of referees, County board/ Club/ School utilise for Go Games/blitzes. There is an opportunity for experienced referees to attend and mentor/offer feedback to new referees. To develop all players regardless of present ability, as coaches we need to provide an environment where they can practise their skills in a game situation. Modified small sided games allows increased repetition of skill and to develop tactical awareness and team play i.e players learn to master the skills of the game in a controlled environment while learning where to move and team play and know what to do and when to do it (Tactical awareness). Training– Clubs can organise modified games as part of your training to encourage mastery of skills in game situation. Modifying the pitch size, players a side and rules specific to the groups needs and abilities. Club could also host a school Go Games blitz for all feeder schools in area. An opportunity to promote the club in the area and create good club school link. Lunch time league: Organise a lunch time league, small sided games where the pupil can play and officiate. For example 7 a side x ‘X’ teams. 2 teams play 10/15 minute game, another team officiate (1 x referee, 2 x lines people, 4 x umpires). All pupils participate either playing or learning to officiate.